From the privacy of your own home or anywhere, use your favorite conferencing app -- Skype, FaceTime, Zoom -- on your desktop PC, your tablet, even your smart phone, to engage Cheryl personally through a live, one-to-one interactive exchange. One-to-One Parent Coaching session with Cheryl. Why do children do that? How do I build a lasting, respectful relationship with my child? How do I go beyond dealing with misbehavior to nurture a competent, capable, happy young adult? How will I know that I'm doing the right thing, for me and for my child? How do I help my child cope with depression, bullying, homework and academics, and other challenges in life? If these or similar questions concern you, you've come to the right place. Cheryl Erwin is a licensed marriage and family therapist who provides parent coaching, parent education, and professional training to help you develop both wisdom and skill. Cheryl's approach is based on the work of Alfred Adler and the bestselling ‘Positive Discipline’ books Cheryl co-authored with Jane Nelsen, and rests on solid evidence and experience. Through personal coaching, customized workshops, and professional training, you can learn to parent and work with children with confidence and joy. Cheryl provides parent coaching and training, individual and couples therapy and coaching, and support for personal growth and family relationships. Cheryl is also available for conference keynotes and workshops, and professional development training for teachers, social workers, therapists, and others interested in family health and wellness. Cheryl has more than 20 years of experience in early childhood education, adolescent development, understanding children’s behavior, and family relationships. From dolls and coloring books to stuffed animals and computer games, infants and toddlers almost always seem to be reaching for a new toy to occupy their attention. However, despite the fun and benefits these items may bring, there is something far more important parents can give their young children — a consistent, loving connection. According to an aspect of psychology called attachment theory, the relationship between babies and their parents is of paramount importance when it comes to successful social and emotional development. Information for 2 different age groups is offered: Toddler & Preschooler (Infant and Waddler series coming soon). Listen to Cheryl's commentary on parenting weekly at 5:30 and 7:30 KUNR-FM (88.7), Reno NV. Listen to past broadcasts at KUNR's Web site or by clicking the Radio link at the top of this page. Cheryl offers parent coaching designed to help you understand the beliefs behind your child’s behavior and to find effective solutions. Receive relaxed, confidential Parent Coaching from the privacy of your own home when it’s convenient for you, using your computer, tablet, or even your smartphone. A variety of online conferencing apps are available, including Skype, FaceTime, and Zoom. Cheryl can provide training and workshops for your school, staff, or organization. Credit is available through the Nevada Registry. Training sessions can be tailored for therapists, social workers, teachers, and other professional groups. The workshops are relaxed, friendly, and productive. Use the above link to make your inquiry. Cheryl is available to provide keynote speeches for conferences, workshops and seminars. Presentations can be tailored for therapists, social workers, teachers, and other professional groups and gatherings. 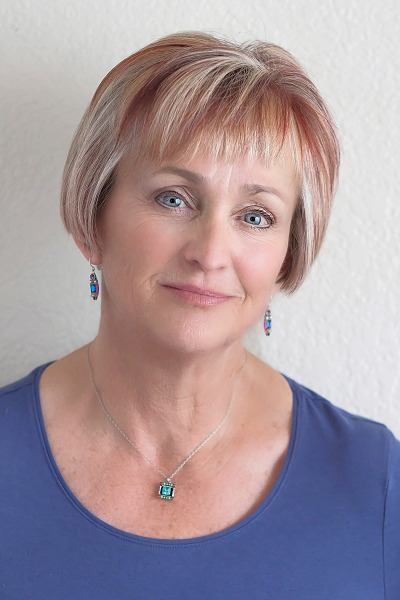 Cheryl Erwin is the author and coauthor of several best selling parenting books. Most titles are available in paperback and are available for downloading onto your Kindle or favorite tablet reader. Cheryl also has several articles published online. Cheryl will be right with you! Prices for sessions are affordable and can be purchased as you go. General pricing includes access to your own customized Private Forum designed for an in-depth, dynamic interchange with Cheryl Erwin. Included, too, is access to personalized essays and evaluations.